The Oconaluftee Visitor Center in Great Smoky Mountains National Park is just two miles north of Cherokee, North Carolina. The 6,300 square-foot visitor center and history museum opened to the public on April 1, 2011. Oconaluftee Visitor in Great Smoky Mountains National Park. 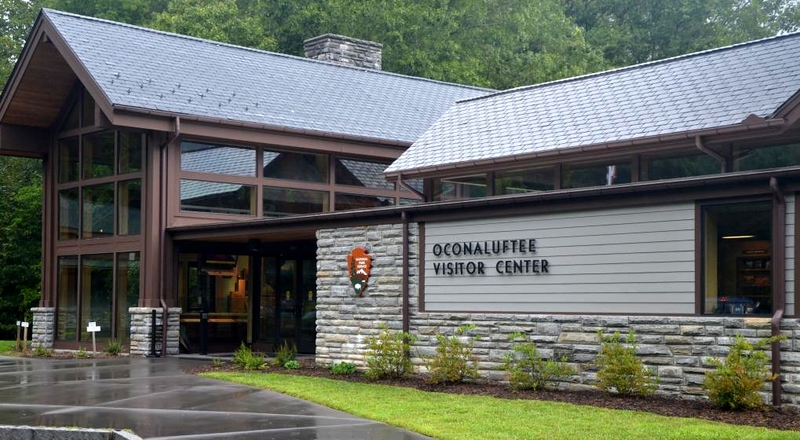 The Oconaluftee Visitor Center is a great source of information about visiting Great Smoky Mountains National Park. Details about driving distances, directions, current weather and road conditions can all be obtained at the Visitor Center. There is also information about campgrounds and hiking, as well as park rangers available to answer questions. The bookstore and gift shop operated by the Great Smoky Mountains Association within the Oconaluftee Visitor Center is quite extensive with a broad collection of books related to the Southern Appalachian Mountains. A variety of souvenirs and gifts are also available, as well as a few practical items such as rain ponchos and sweatshirts. he museum in the Oconaluftee Visitor Center contains extensive information about the cultural history of the Smoky Mountains. Exhibits include highlights from the Cherokee to the early European settlers and on to through the Civil War all the way through the formation of Great Smoky Mountains National Park. The building used for the previous sixty years as the Oconaluftee Visitor Center was built by the Civilian Conservation Corps (CCC) and will be converted to park offices. The construction of the new visitor center was funded by the Great Smoky Mountains Association, which provided over three million dollars. The information and cultural resource exhibits were funded with more than $500,000 from the Friends of the Smokies. 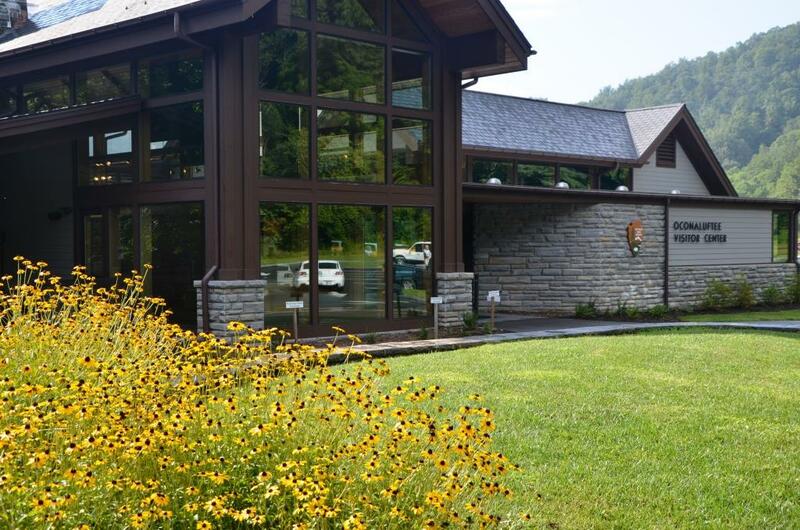 There is also a new modern comfort station at the Oconaluftee Visitor Center that contains information about the park, backcountry camping permits and trail maps. A trail leads from the visitor center to the Mountain Farm Museum and the Oconaluftee River trail.